Author and ex-gunfighter Melody Groves weaves her passion for the Old West into her writing. 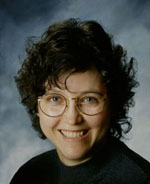 Her articles have been published in numerous magazines including American Cowboy, Wild West, True West, and New Mexico Magazine. She’s also the author of three nonfiction books and four novels in the Colton Brothers Saga series. 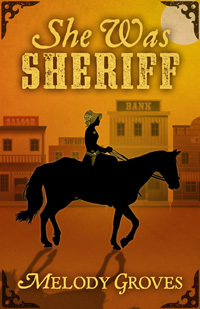 Her newest historical western novel, She Was Sheriff (Five Star Publishing, 2016), introduces a set of likeable characters her readers will love to cheer on. You can find Melody on her website at MelodyGroves.net and her Amazon author page. What is your elevator pitch for She was Sheriff? All she ever wanted was a gold band. Instead, all she got was a tin star. Not being from northern California, writing the terrain was tough. In 2014, I toured the area. I also did that when I researched Kansas for Kansas Bleeds (the fourth book in the Colton Brothers Saga). Tell us about your main character and why readers will connect with her. Maud is the lead character who is challenged to do (1) things she’s never done before and (2) things 1872 society frowned upon—especially for a woman. I hope readers connect because she’s breaking societal barriers as well as her own perceived limits. 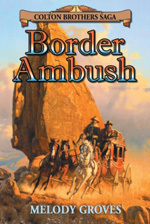 What makes this novel unique in the historical western market? At a recent Western Writers of American convention, my novel was held up as an example of the up and coming “strong female protagonist” Western! My publisher has a new line of novels called “Women Frontier Fiction” and I’m proud to be one of the first. Westerns are no longer typical “shoot ‘em ups”—although that’s my favorite kind. Did you discover anything interesting while doing research for this book? I do tons of research for all my novels and that era was fascinating in that the world was changing so quickly. We think of our 21st century as spinning—well, the West had the train, telegraph, East coast fashions, and thousands of immigrants from all over the world that spun their lives. People moved from place to place trying to make a living, trying to find the proverbial pot of gold. It was a relatively transient society full of various characters and in many instances, very little law. Tell us more about She Was Sheriff: what sparked the initial story idea, how long it took to write, etc. I have no idea where the story came from other than I have a t-shirt with a woman on a horse and the title is She Was Sheriff (there are no copyright laws on titles). My imagination kept spinning a story that, piece by piece, came together. The book itself took most of a year to write, then a couple of months of editing and rewriting. After a tad bit of final rewriting, selling it to my publisher wasn’t hard. What is it about the Old West that keeps you writing in that world? I love the Old West. It was a time of lawlessness, but also a time where people re-established themselves. They became someone they wanted to be. That still goes on today. The West is a magical, open, awe-inspiring place. I was born here and have always loved it. How did your gunfighting re-enactment affect your writing? For ten years I walked the streets of Old Town and other places, shooting good guys, bad guys, and sheriffs. I’m quite comfortable using my .22 Ruger, being shot, and shooting as a group. We performed in the O.K. Corral (a true Mecca for re-enactors), and I swear I was back in 1881. I use the experiences (and remembered bruises) in my writing. In re-enacting, the bullets may be fake, but the adrenalin is real. You’ve written four novels in the Colton Brothers Saga. What are the challenges to writing a series? Do your protagonists still surprise you as you write their stories? Series are hard to keep fresh. Thankfully, turns out there are four Colton brothers, so they’re always getting in trouble or making bad decisions—singularly or together. Hopefully, they stay fresh that way. My protagonists surprise me all the time. It’s truly fun to let them “do their thing” by not putting restrictions on their character. As their creator, I may have one thing in mind, then they turn around and do the opposite. Just like your own children! I do pretty good dialogue, but then again, it’s my characters talking. I just write down what they say. I’m fairly good at reversals—when the reader thinks one thing will happen then it changes. As for weaknesses, women’s roles are hard for me to write, but I’m hoping I learned from She Was Sheriff. I’m not crazy about women in traditional Westerns, so I don’t give them big parts. You have a knack for writing distinct characters, both heroes we love and villains we love to hate. What process do you use to develop your characters? Developing characters is an ongoing writing exercise. When coming up with new characters, I find ones who have flaws, which make them interesting. I spend a lot of time thinking about people I know, then choose something from them. Or at times, I simply sit and watch strangers. I see terrific body types and then add characteristics—kind of like Frankenstein. The hardest scenes to write are fights or cattle stampedes. There are so many moving parts (literally), I find keeping them all in my mind’s eye difficult. So, I do two things—use pieces of “stuff” to place my characters on my desk. I’ll use a pencil eraser, a marble or whatever is handy and march them around like kids do with little tin soldiers. It looks silly, but logistically, it works well. The other thing I do is watch movies/TV shows with fights or stampedes. Those always inspire me. Looking back to the beginning of your writing career, what do you know now that you wish you’d known then? Isn’t that the million dollar question? If I could go back, I’d become a journalist instead of an educator. The most successful writers I know started in newspapers. I wouldn’t spend my time in the classroom, I’d be out hunting stories and writing my own. I recommend to younger writers to take as many journalism classes as possible and get a job in that field. I guarantee they’ll be great writers sooner than those of us who started later in life. What’s the best encouragement or advice you’ve received on your writing journey? Best advice—“trust your reader.” At first I didn’t understand, but it means your reader is smarter than you think. Give them the information once, and they’ve got it. No need to remind them time and time again. In my band, the keyboard player one day said “trust your bandmate,” meaning assume he’s doing what he’s supposed to do—to the best of his ability. Readers are the same way. Just trust them. Best other advice—choose what’s the most interesting. 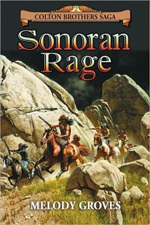 At the end of my book Sonoran Rage, it was a toss-up if James’ (the main character) fiancé would be waiting for him when he returned from being captured by Cochise. What everyone wanted, including me, was to have her there and fall into his bruised arms. But that’s what was expected. So, the more interesting choice was—no, she’d moved on (in all fairness, she thought he was dead). That opened up the future plotline that developed into several novels. What are you working on now? Will we see Maud, Seth, and Pokey from She Was Sheriff again? I’ll be starting book 7 of the Colton Brothers Saga as well as intense research for a book based on my Irish ancestors who immigrated to New Orleans during the potato famine. It’s a true Western, too, as they came to an unknown land to re-invent themselves. Maud, Seth, and Pokey are trying to find a story I’d like to write. While I’m working on the other two books, I’ll let these three characters play.